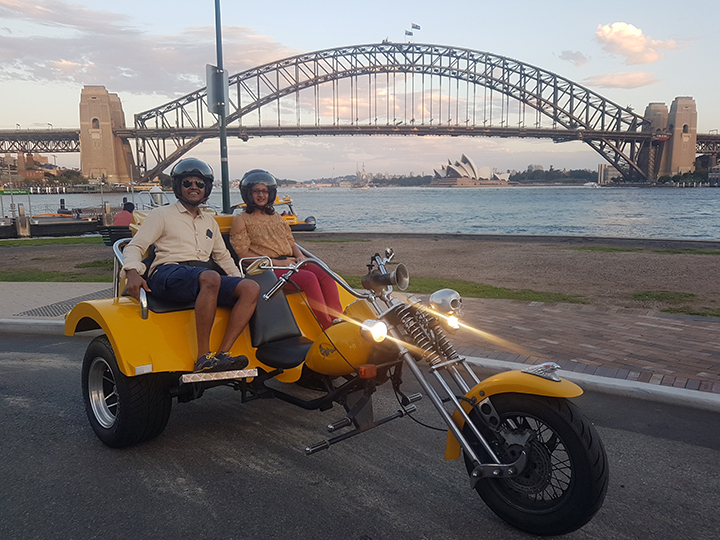 We organised a Harbour Bridge trike tour for our passengers. They are visiting Sydney and thought it would be the best way to see the iconic Harbour Bridge and Sydney Harbour. They are right – it is the best way! 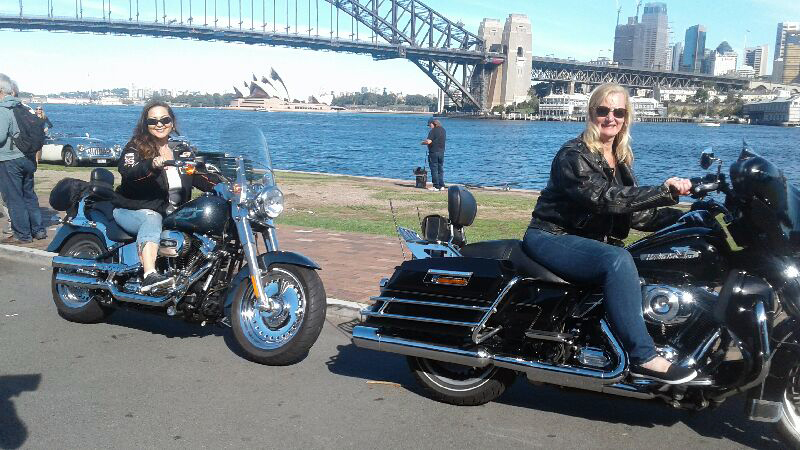 Craig picked them up from Circular Quay and rode over the Sydney Harbour Bridge. It is something we never ever tire of, no matter how many times we ride over it. Tilt your head back a little to really see the wonderful arches and steel work. It is such a different experience than driving over the bridge with a roof over your head, blocking a lot of the view. Their first stop was Blues Point. It has wonderful views looking eastward over Sydney Harbour. There is an unrestricted view of both the Sydney Harbour Bridge and the Sydney Opera House. 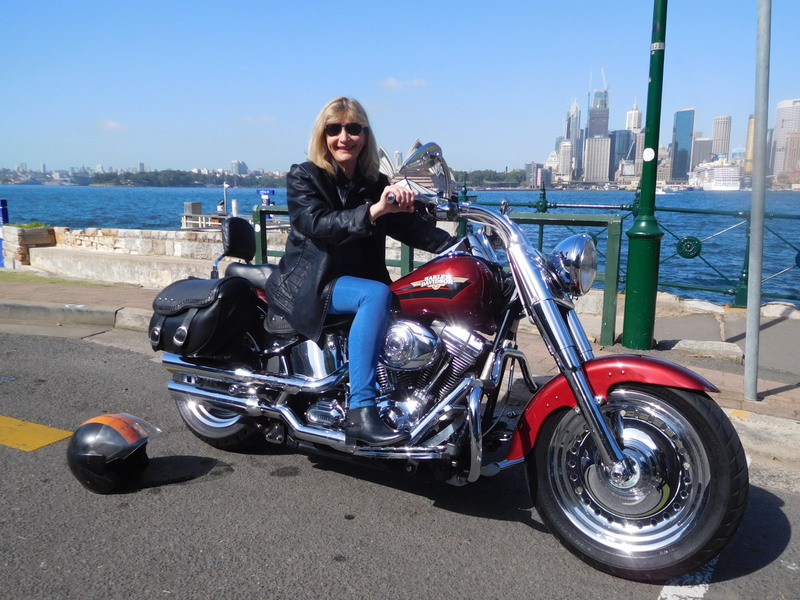 Then they rode to Jeffrey Street Wharf at Kirribilli. The same suburb which has ‘Kirribilli House’, the secondary official residence of the Prime Minister of Australia. the primary official residence being The Lodge in Canberra, Australian Capital Territory. See below for more information. There is another wonderful view across Sydney Harbour to the Opera House and the city. If there is time, we ride under the north end of the bridge, past the entrance road which goes to Luna Park and past North Sydney Olympic Pool. ‘Kirribilli House’ was built in 1854, a Gothic-style structure, a twin-gabled dwelling or cottage ornée – on the land’s highest spot. In 1956 Kirribilli House was set aside as a residence for the use of Australia’s Prime Ministers, when they need to perform public duties and extend official hospitality on behalf of the government during stays in Sydney.